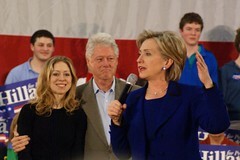 Last night we took all the kids up to see the last Hillary Clinton rally before the Primary today. They were all troopers, especially Emma who fell asleep during it. 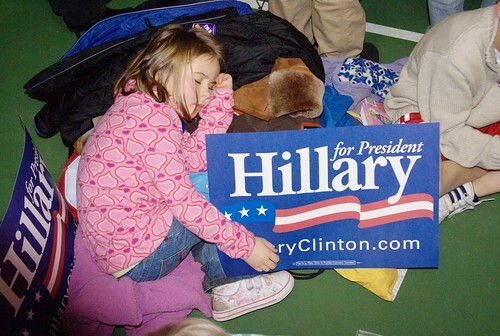 Wendy was psyched that Hillary signed her homemade sign.